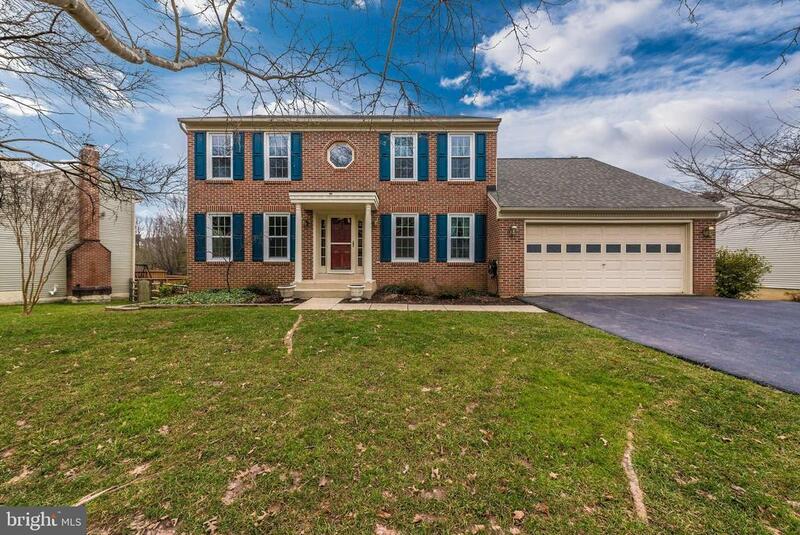 Beautiful move-in ready brick front home in the highly desirable Spring Ridge community! This spacious 5 bedroom 3 1/2 bathroom home has everything youve been looking for! A wonderful main level layout including a spacious kitchen with center island and table space which opens to a sunken family room with wood-burning fireplace; all freshly painted in beautiful neutral tones. The upper level offers 4 bedrooms and 2 full baths including a beautiful master suite with an amazing fully renovated master bathroom. The lower level offers a large rec space, plus a full bedroom with attached full bath. Outside youll find a large deck (just replaced) plus a fully fenced rear yard. The previous owners have taken care of several big ticket items including a new roof, fascia boards, and gutters (3 years old); new windows (2 years old); and new furnace (1 month old). Dont miss out on the amazing home!